In October 2017, a nuclear terrorist attack forces the world’s nations to wake up and join forces to prevent any possible threats to the extinction of humankind. You are placed in charged of the UN’s new Existential Risk Prevention Authority. Your mandate, supported worldwide, is to identify ways in which humanity as a whole can be destroyed and to ensure that such destruction will not come to pass. That in itself would be a herculean task, but as the emotions from the nuclear attack calm down, you will soon discover that the world’s “unconditional support” for your mission is not as unconditional as it might seem. omegaGo is a client for the board game Go. Go is an ancient board game that has stood the test of time. It is enjoyed by players of all ages and from all walks of life. If you never played, maybe give omegaGo a try – it contains useful resources and will help you on your way, maybe you will the game to your liking! ONLINE PLAY: You may play on the server of your choice – either Pandanet (IGS) or KGS. Use the same clean interface for both servers. You may even play a game on both servers at the same time, if you feel strong enough! 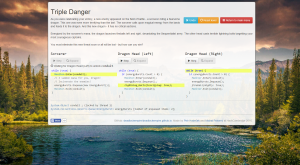 SGF EDITOR: Open and edit SGF files, and save your games as SGF files. QUESTS: Earn points for winning games and completing quests, and advance through the ranks in our single-player experience! 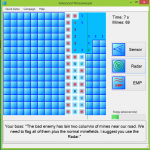 OTHER FUNCTIONS: Other features such as the tutorial, the encyclopedia, the analyze mode, or tsumego puzzles await you in omegaGo. Oracion Online is an online collectible card game for one or two players. It is in Czech only. It was created as a school project in the summer of 2016. I invented the game Oracion, in its paper form, in 2009 for my Scout group and in the years 2009-2011 I used it in my patrol as a motivation element. Oracion is a simple card game. Each round, each player plays a creature card, attaches tool cards or uses special actions, and then rolls dice. The number and kind of dice is determined by cards. The player who rolls the higher total “defeats” the opponent’s creature. The first player to defeat four of their opponent’s creatures wins the game. 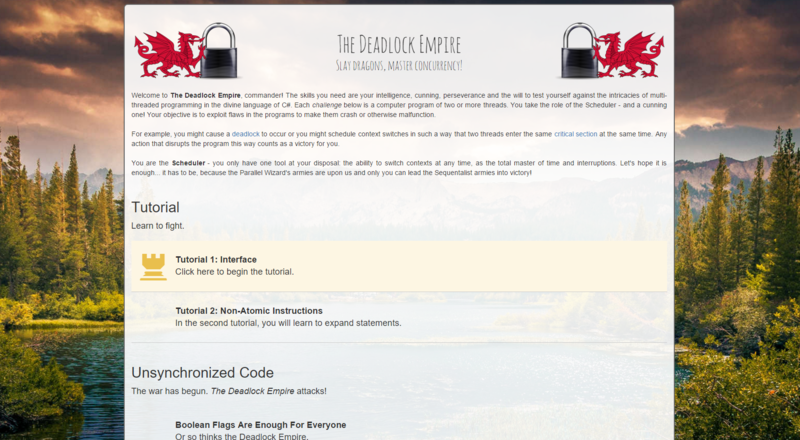 The Deadlock Empire is a programming puzzle game created in a team with Michal Pokorný for the 2016 Hack Cambridge hackathon. In the game, the player assumes the role of a computer scheduler. 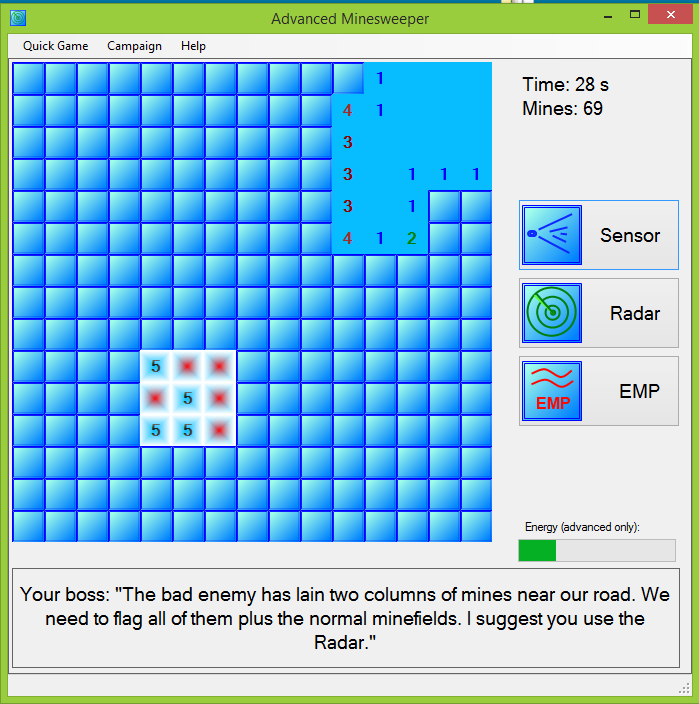 In each level of the campaign, the player sees two or three threads of a computer program written in C#. He must then step through the program, performing context switches as he deems appropriate in order to demonstrate that the program contains bugs in its parallelism code. 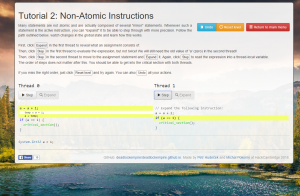 For example, the player might simulate an execution order such that two threads enter a critical section at the same time or that results in a deadlock. 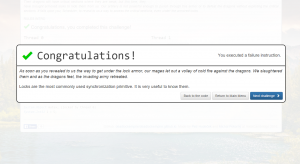 The game won the 1st place at the hackathon. In addition, we won two auxiliary prizes – Improbable‘s prize for “the best gaming/VR hack” and Bloomberg‘s prize for “most interesting project”. We created the game at the age of 23, in 2016. One of the first levels. 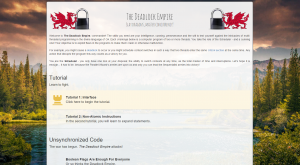 A story-based campaign – slay dragons, master concurrency! 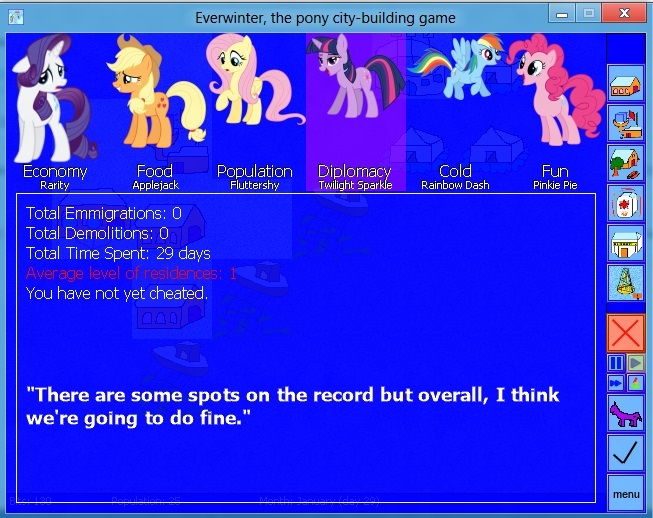 Fluttershy’s Hearthswarming Adventure is a text adventure game created for the Christmas of 2015. This is a fan game. 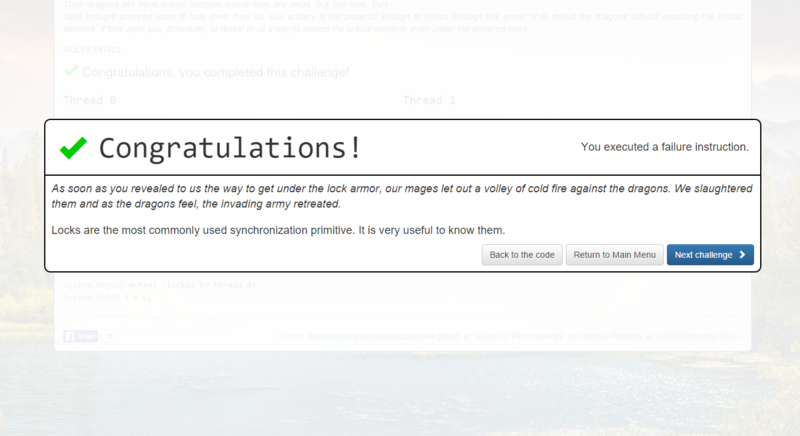 This is my second Windows parser-based interactive fiction. This means that there are no graphics to speak of – that takes place in your imagination. 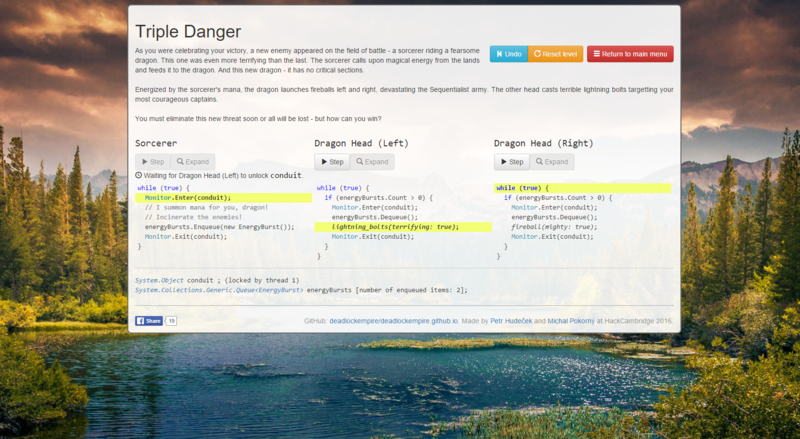 Instead, surroundings and events are described and you interact with the world by typing commands. But do not worry: It is not as difficult as old school games are. There is a suggestion system that will help find the commands you need and the game is set up in a way that you cannot truly lose. The story itself is about the journey of Fluttershy to the depths of the Everfree in search of a magical artifact known as the Emotion Orb. 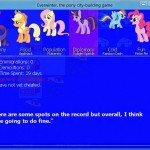 She encounters animals, other ponies, obstacles and puzzles along the way. And in the end, it will be up to her to decide whether, and how, to change the Hearth’s Warming Eve festival for everypony, and for all time. Remember that you are supposed to use a combination of the suggestion system and command typing. Usually, typing three letters of a word should be enough to eliminate most unwanted possibilities and then you use arrow keys and Enter to choose. It is programmed in C# using the XNA framework. I created the game at the age of 23, in 2015. The game begins. You receive a gift! Fluttershy gets into a dark cave and has to solve a riddle. How can Fluttershy ease the bird’s pain? Princess Civilization is a 4X strategy game set in the My Little Pony universe. 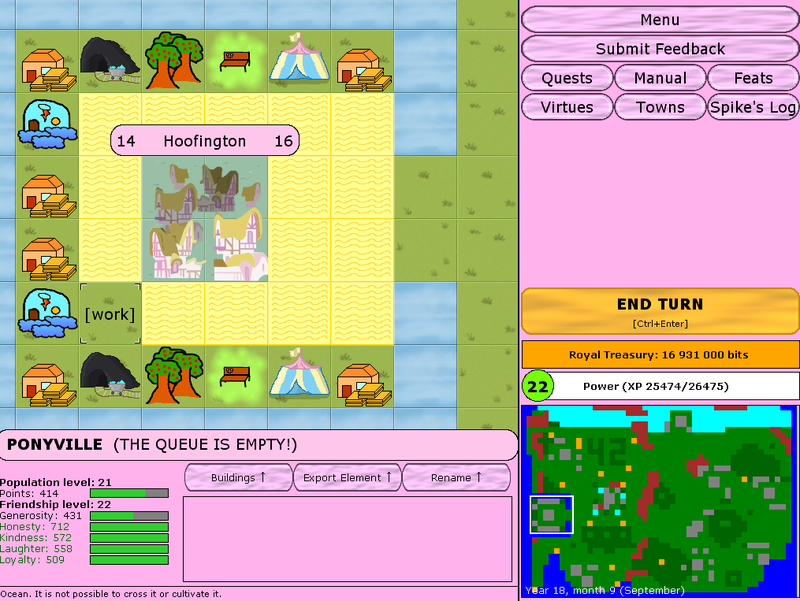 As Princess Twilight, the player controls several towns and gains more during play. 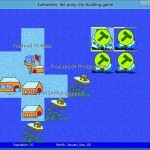 The player progresses through a very long campaign separated in chapters building buildings, cultivating tiles, hosting festivals and exploring the surroundings. Also, friendship problems are built in that the player must resolve. Quests help move the player in the right direction. This is a fangame. 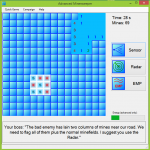 I made this game in C# using XNA 4.0 framework. I got the idea the night after watching the final episode of the third season of the show, Magical Mystery Cure, and wanted to do it as a tribute and because the final episode was so inspiring. The game was created at the age of 20, in 2013. Screenshot from the opening cinematic. Screenshot at low resolution from late game. Princess Twilight just got her wings. 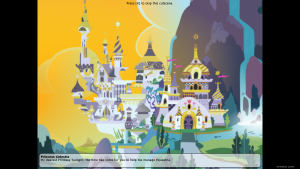 When you were crowned as a Princess, the town of Ponyville was placed in your care. You are expected to help it grow both in population and in friendship and in time, you should acquire new towns and govern them as well. Grow to be the best princess Equestria has ever seen. And know that Princess Luna has disappeared and a draconequus army invades Equestria. You must invent a method to defeat them before all is lost! God, who is hated 2 is a simple original game. I created it in 2012 just after I finished my high school studies as a copy of the very first game I created. This is the same game as God, who is hated, except that it has better graphics, resolution, responsiveness and user experience. In short, I took the game as I had made it 2006 and improved upon it by applying skills I learned since. Also, I made this game in 48 hours, compared to the month it took me in 2006. Then again, my time using computer was limited back then on account of my age. This game was created at the age of 19, in 2012. God casts rays of light. God summoned a meteor storm. God’s tornado just lifted some trucks off the ground, including the destroyed ones! 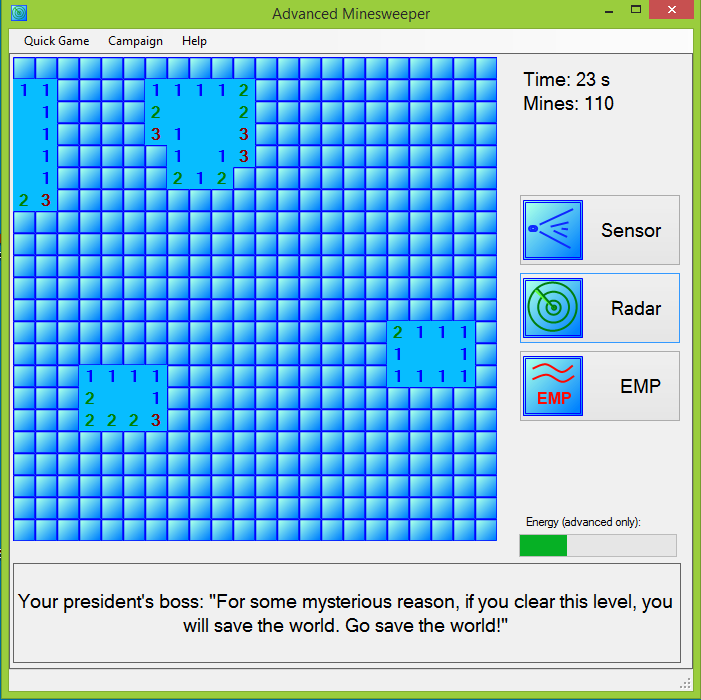 Before each level, the player can buy powers. There are 6 levels in total. You wish to rule forcefully over all mankind but these pathetic humans just can’t cease to hate you. They’ve even started building special towers and supply them with energy in order to destroy you. You can’t let that happen! Smite the towers before they destroy you and beware you sidekick – he could be working for the humans! 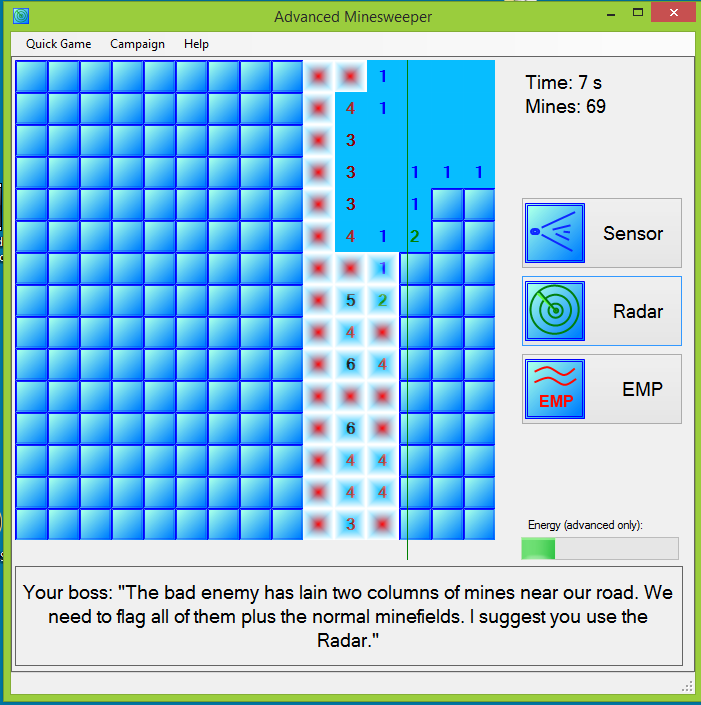 Advanced Minesweeper is a simple game I hacked up in one day to test how many people would actually download and play a game I put up only on major servers that allow for free download of software. The answer was: not many, but still some. 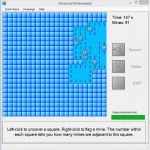 The game was created in pure C# at the age of 18, in 2011. The final level begins. The player just employed the Radar. 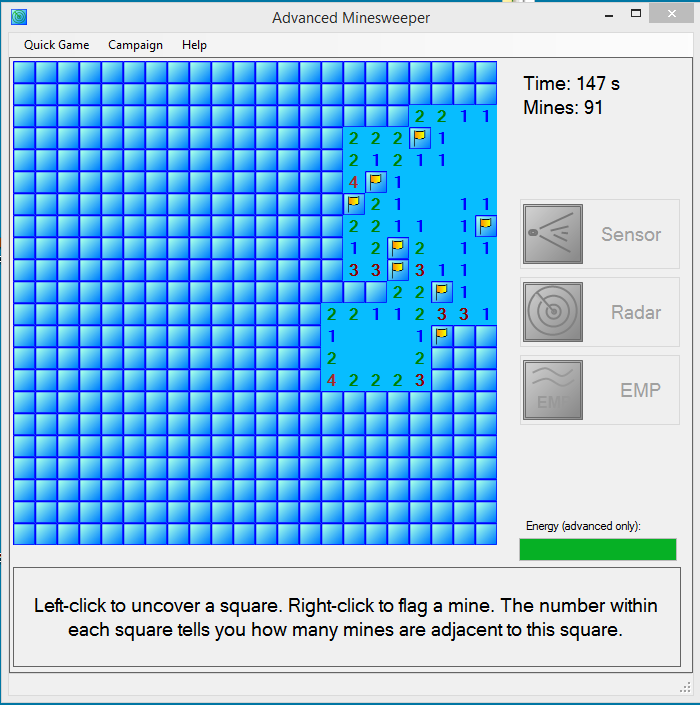 A game of traditional minesweeper. The special ability “Radar” in progress. The special ability “Sensor” in progress. 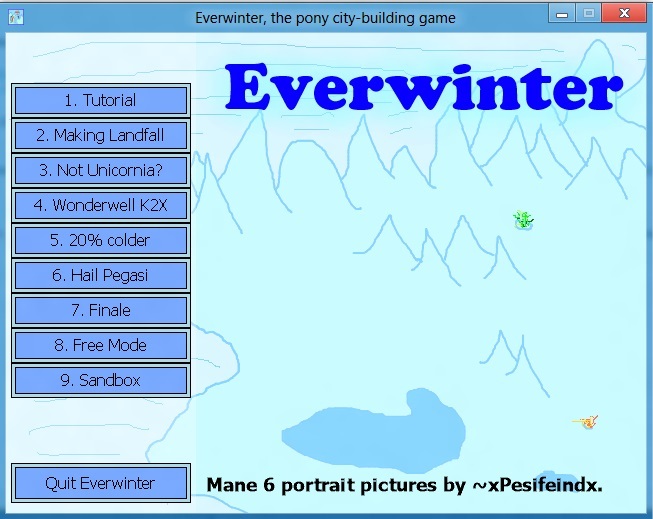 Everwinter, the Pony City-Building Strategy is a Caesar-like city-building strategy game created for the Christmas Typhoon 4-day programming contest. This is a fangame. 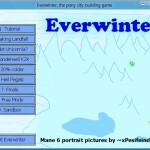 Everwinter is a Windows-only pony city-building strategy. As you progress through the campaign, in each level, you build different structures on a 2D map – houses (e.g. Earth Pony Residence, Pegasus Cloudhouse) and production and utility buildings (e.g. Sawmill, Theatre). 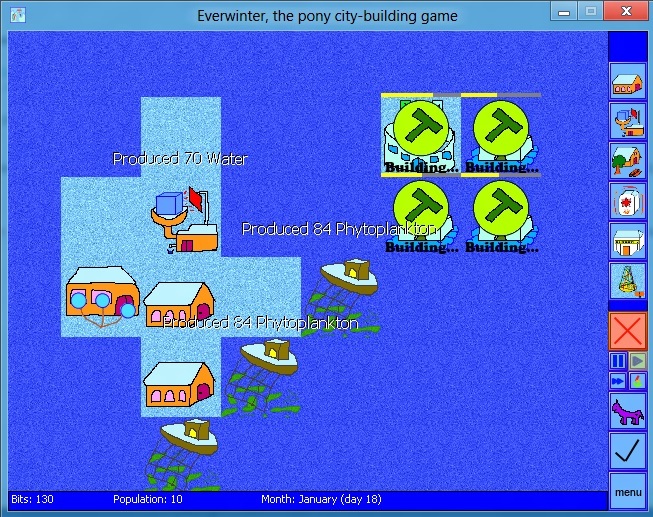 Your goals vary but usually you need to build up a sufficiently large self-sufficient city occupied by a certain number of earth, unicorn and pegasus ponies as each production building can only be worked by a certain race. You also need to upgrade their housings and not meeting the ponies’ requirements will cause them to emigrate (and leave a spot on your colonization report to Princess). There is a simple overarching storyline that deals with the colonization of a new continent of never-ending winter. There are also free modes where you can build up a city without objective restrictions. 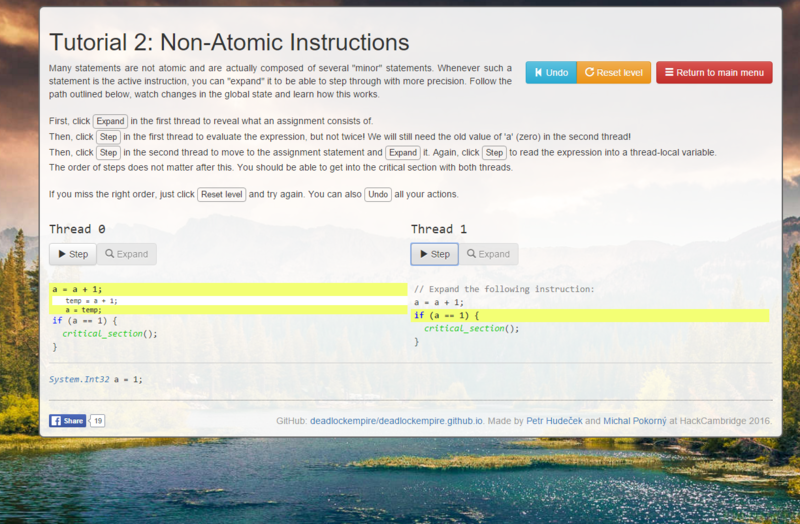 A tutorial is built in. 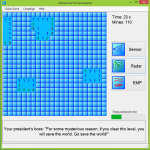 The game is made in C#, using the XNA framework. I created the game at the age of 20, in 2012. The campaign consists of 7 levels. Advisors tell the player what needs attention. This level is based mostly on the sea. The player is constructing three cloudhouses for pegasi. A new continent of never-ending winter is discovered near Equestria. 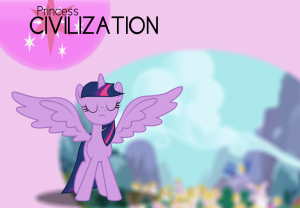 As a princess, your task is to direct the colonization of this new land. Maybe the magical springs of harmony that are dotted across the continent could help. But the climate is harsh. Take care that your ponies don’t emigrate because of cold!